Non-GMO certified. Suitable for vegans. Suitable for vegetarians. Suitable for coeliacs. Kosher - KLBD.An unusual conserve with a lively flavour. 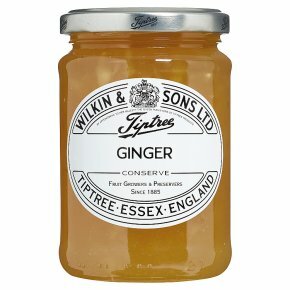 Australian ginger is used as it provides the finest taste and the delectable texture is created by the small soft chunks of fruit. An outstanding conserve which is perfect for cooking with.